Managing your WordPress website has never been easier with More Real Estate Leads! Complete The Form Below to See How Other REALTORS are Benefiting From Our System. Capture lead information with newsletter signup or a contact form. Connect with popular services like Active Campaign, Mailchimp, Constant Contact, and many others. Professionals like yourself have more power at your fingertips than ever before. That is why we give you the tools you need to be able to control your message on your website (aka: your HUB) and automate your marketing like never before. You have never met a team like us! Business partners, married couple and best friends, Jason and Nikki have as much passion for your business success as you do! Expert web designers for over 15 years, we know what will mkae you successful. Our training videos, Q & A Webinars, and our Blog will support you while you are building out your site, and teach you what to do with your new website once it goes live so that it works for you and your business. For more than 10 Years we Valued our relationship with Jace Glick of RE/MAX Elite. Watch this short video to see what he has to say about us. Landing pages are Critical for lead optimization. 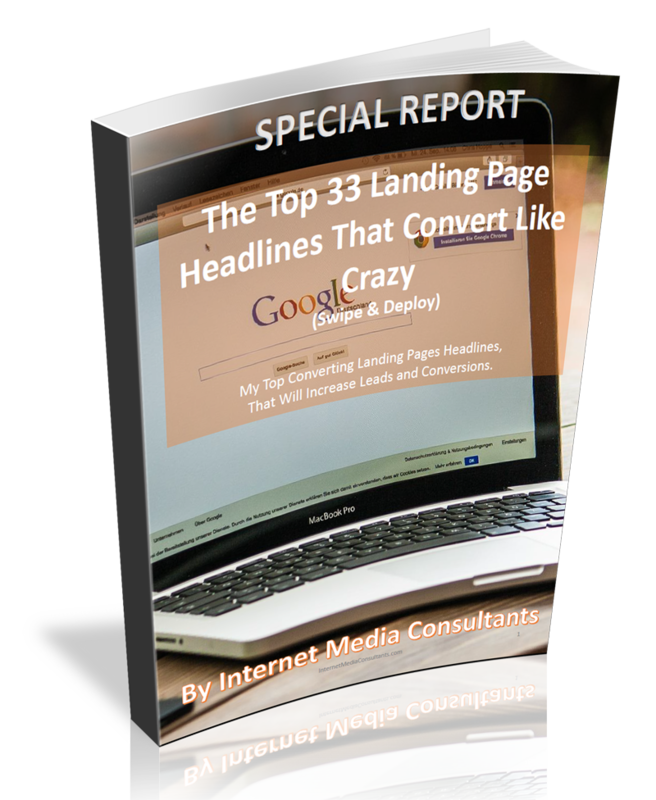 These 33 headlines have been optimized to convert like crazy on your real estate landing pages. Download your copy free today.